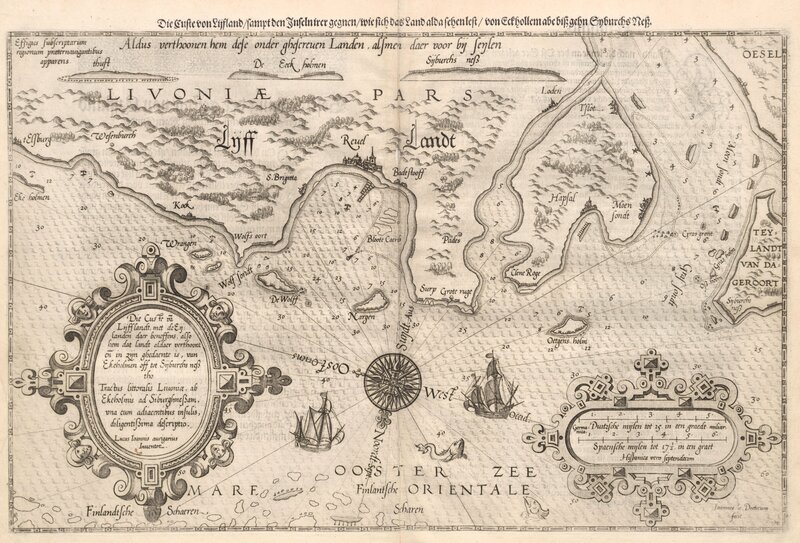 Zeevaerdt." 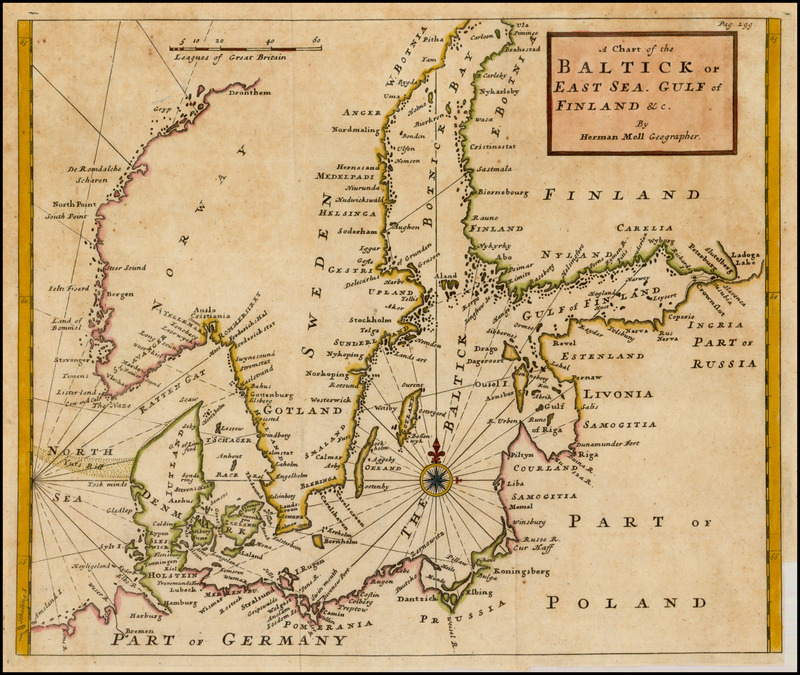 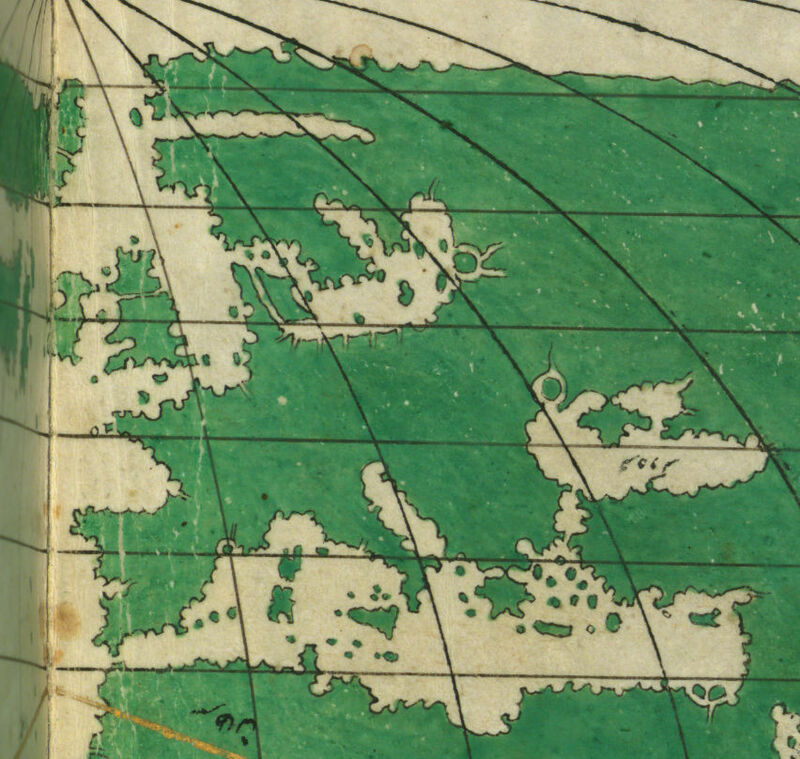 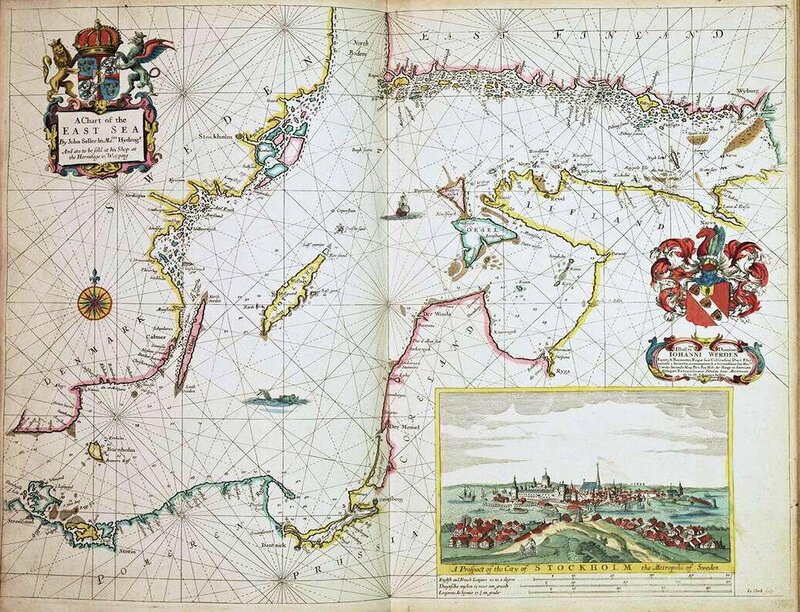 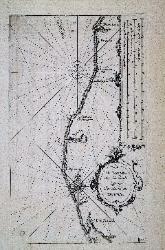 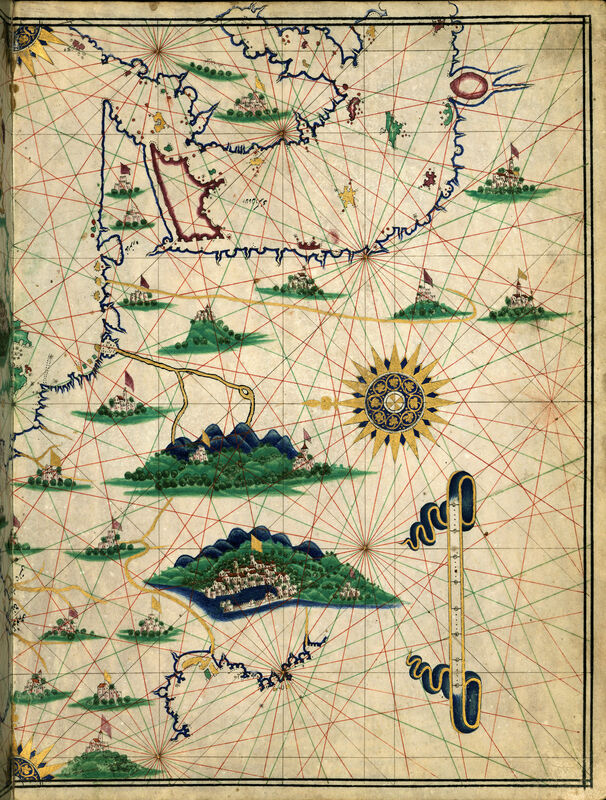 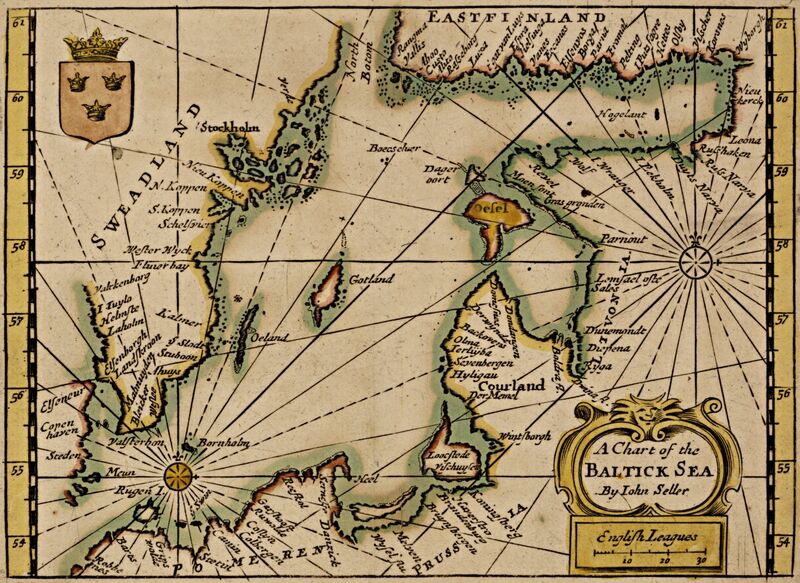 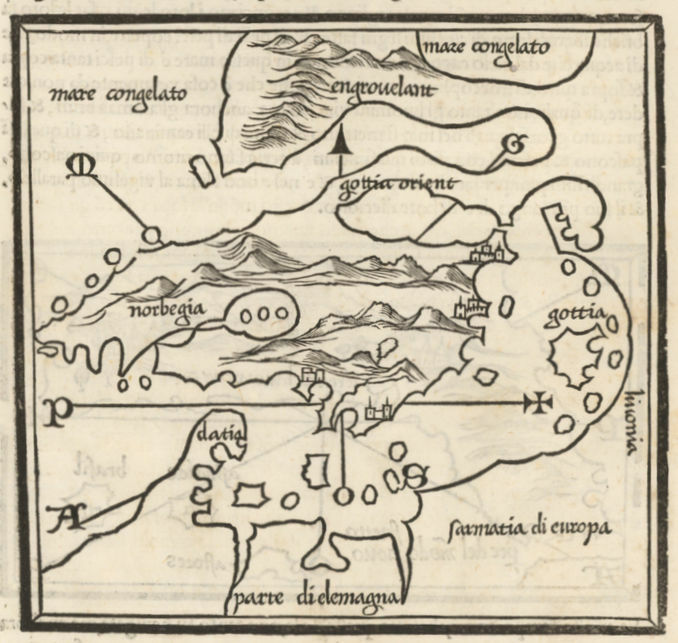 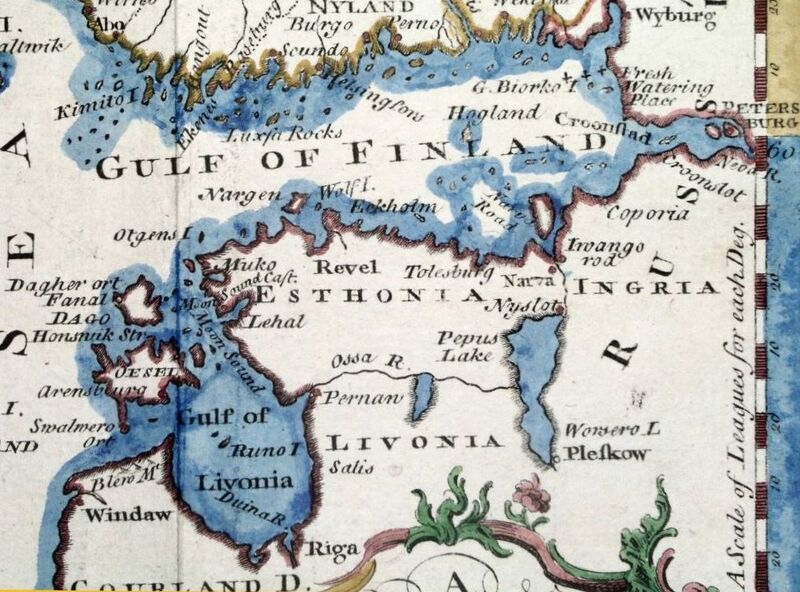 See the 1585 map of the entrance of Riga. 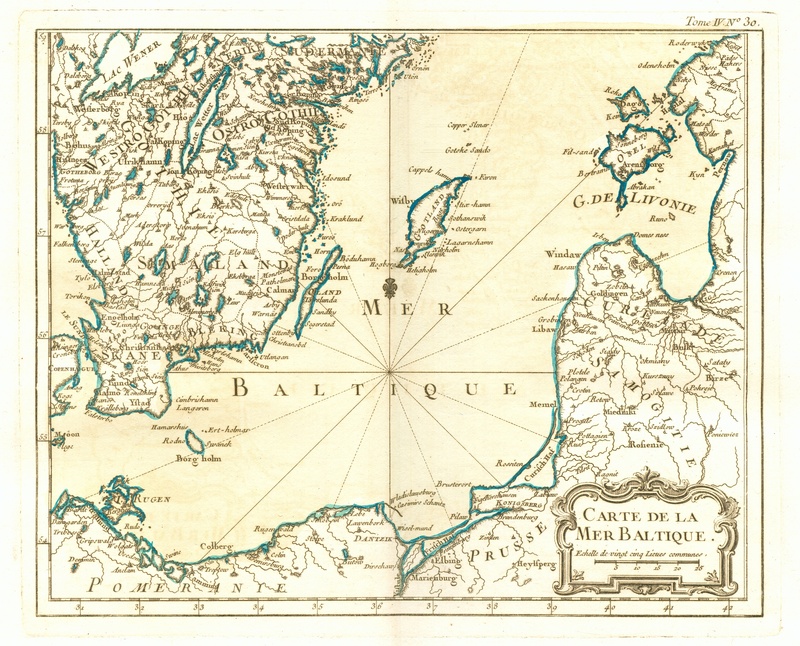 engraved by Baptist and Johannes van Deutecom. 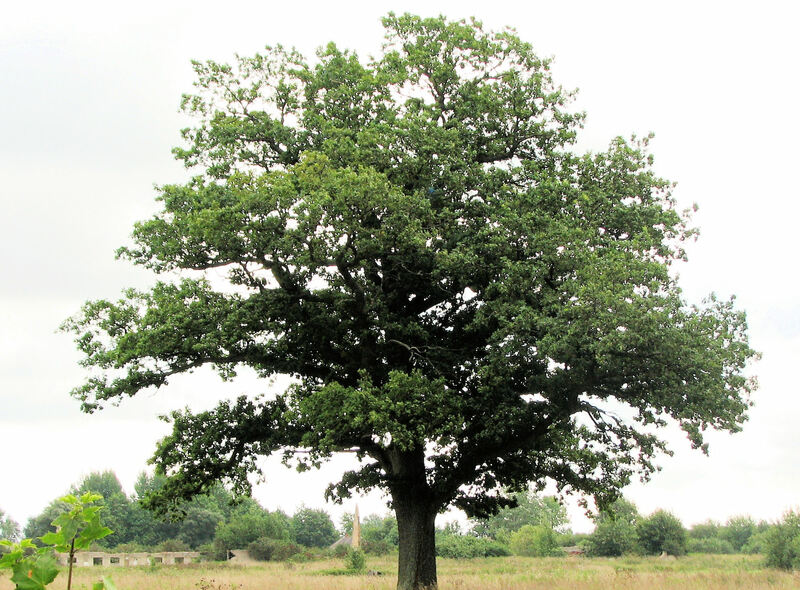 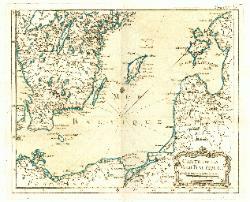 the island of Oesel (Saaremaa). 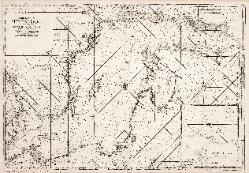 London, 17 x 11 inches. 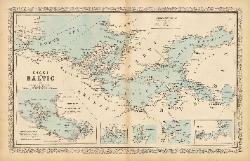 1850 Francesco Costantino Marmocchi: "
MAR BALTICO," 13 x 11 inches, Florence. 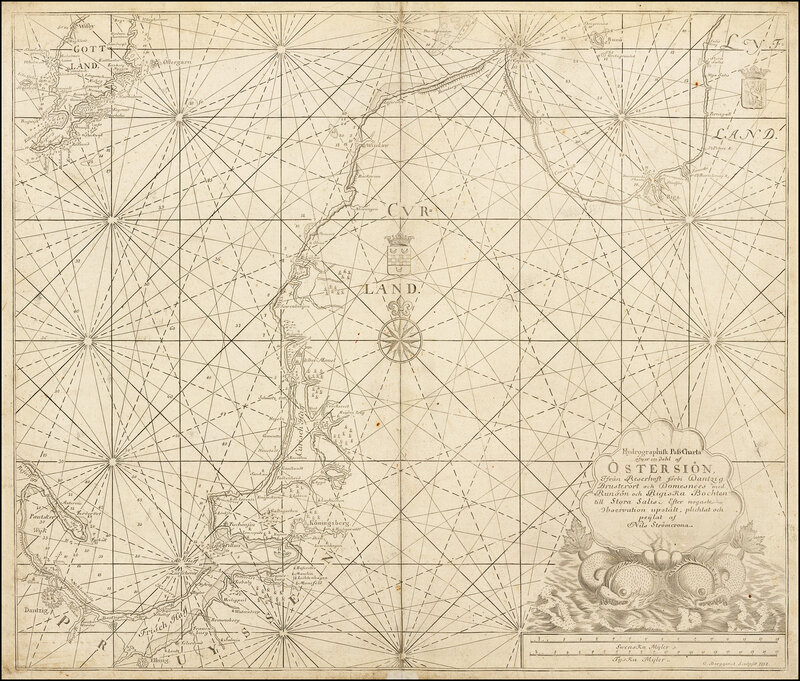 1654 Frederick de Wit: "Pas-Caart van de Oost Zee..,"
een Gedeelte van Oost Zee..."
Amsterdam, 20 x 23 inches. 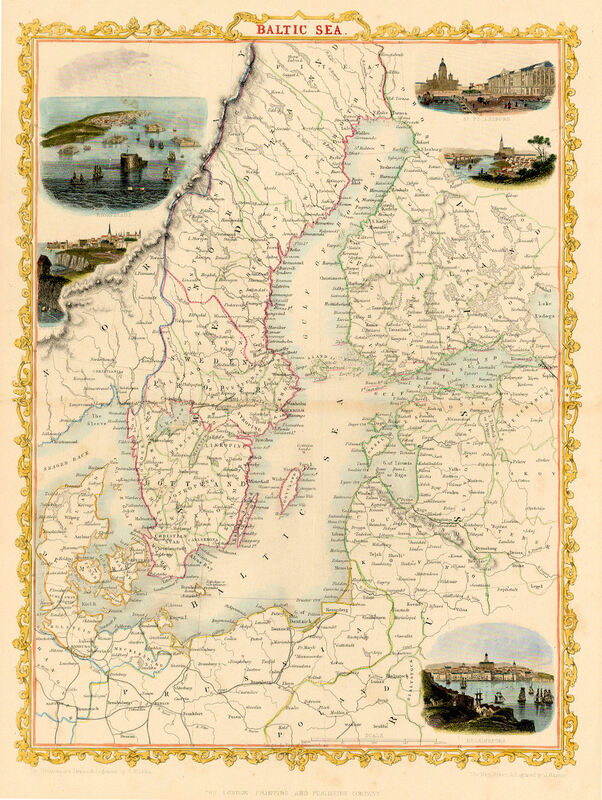 made by order of the admiralties of Copenhagen, Stockholm & St.
and to H.R.H. 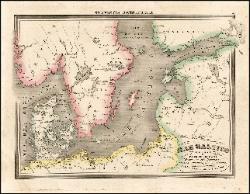 the Prince of Wales, Charing Cross, June 4, 1803. 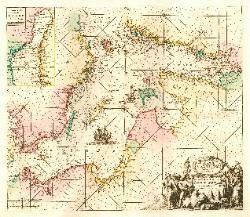 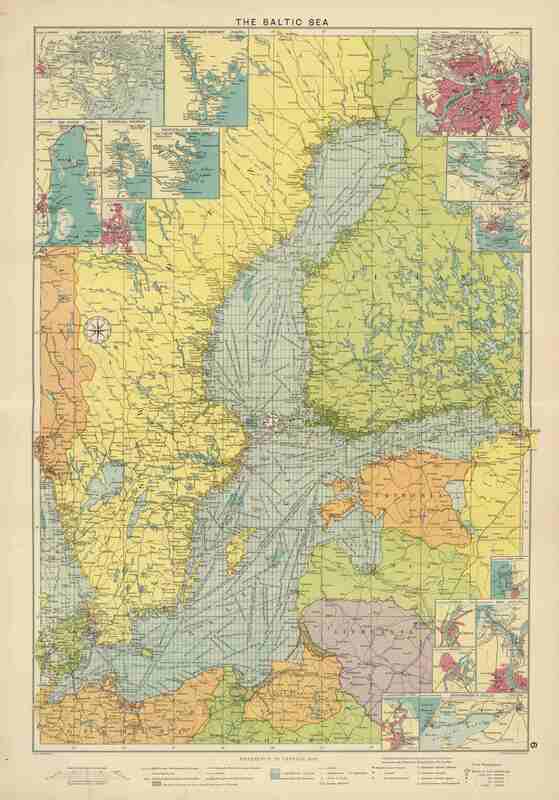 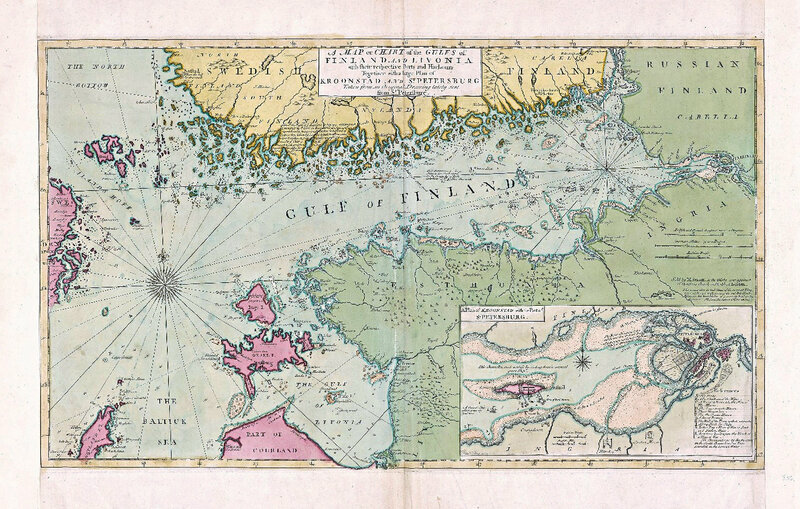 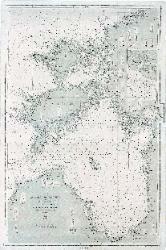 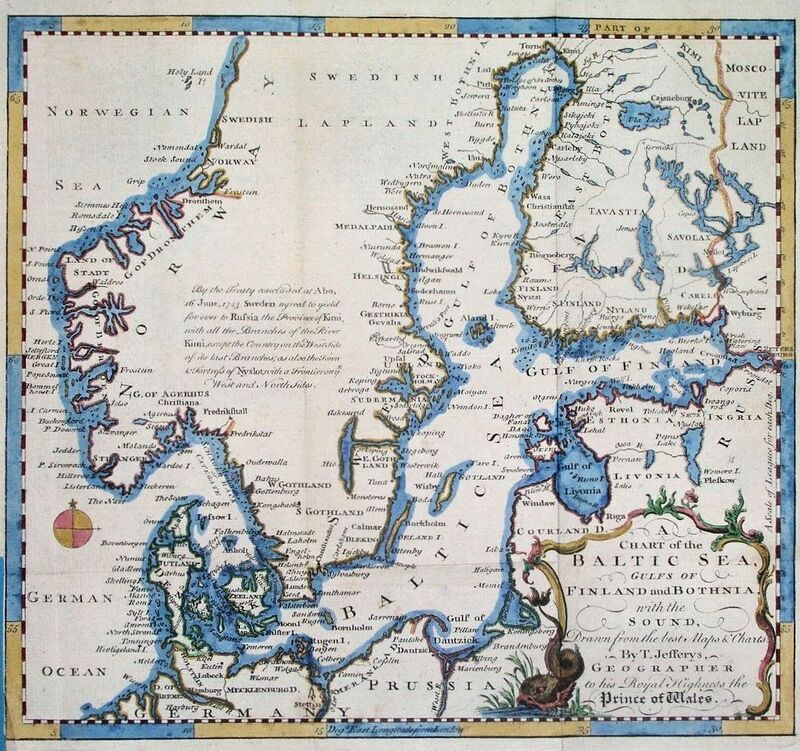 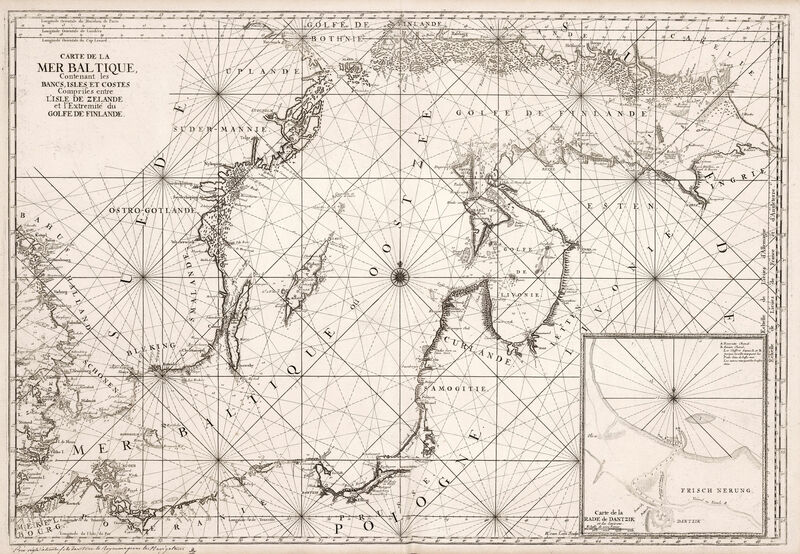 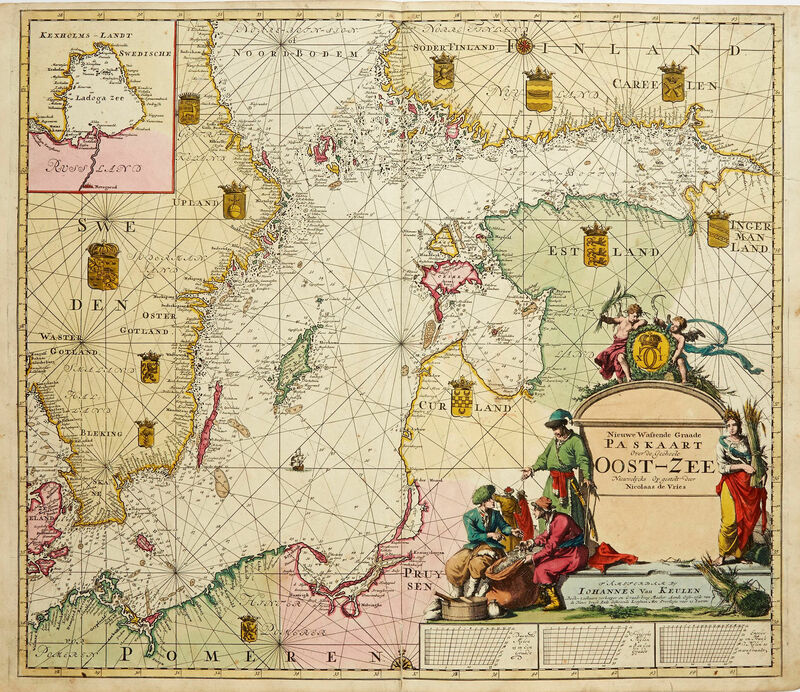 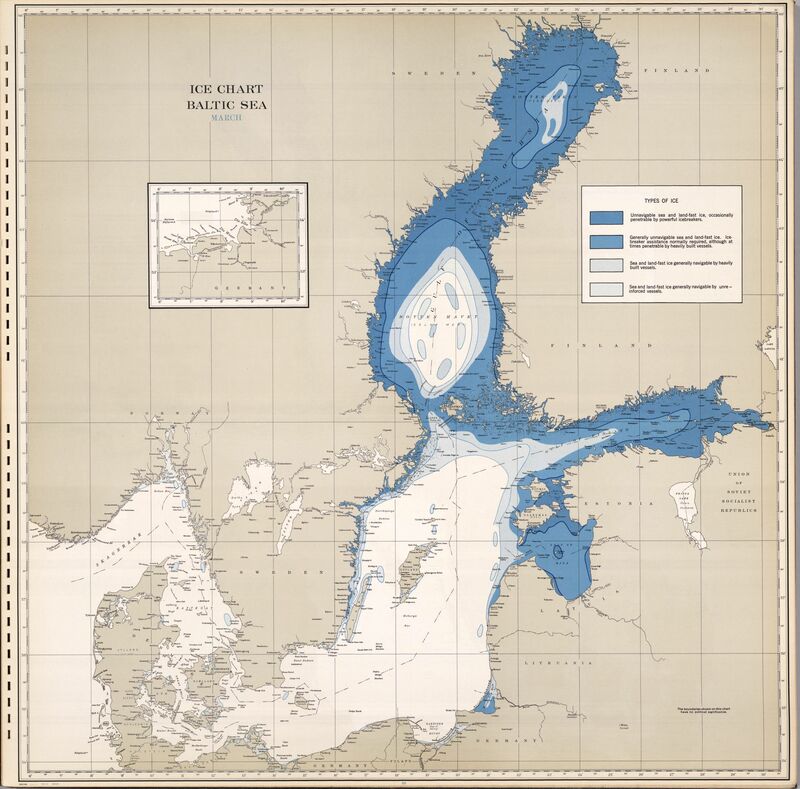 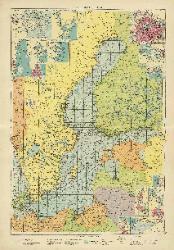 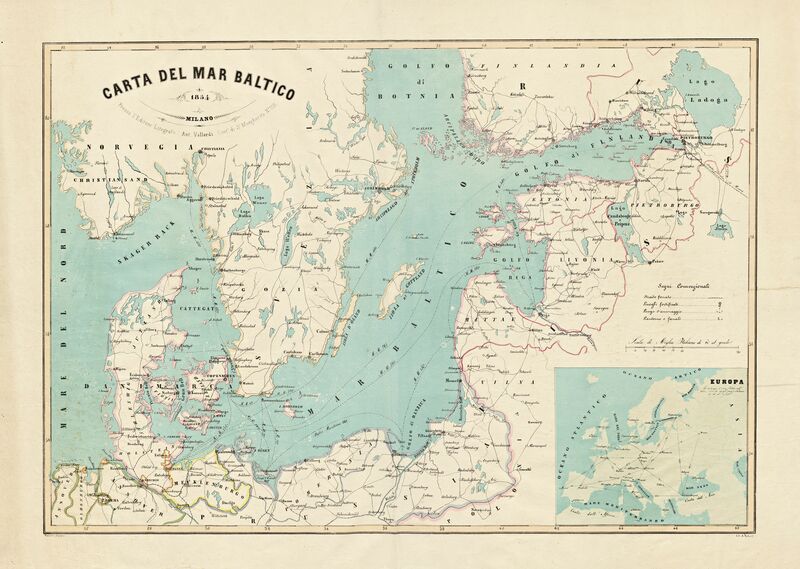 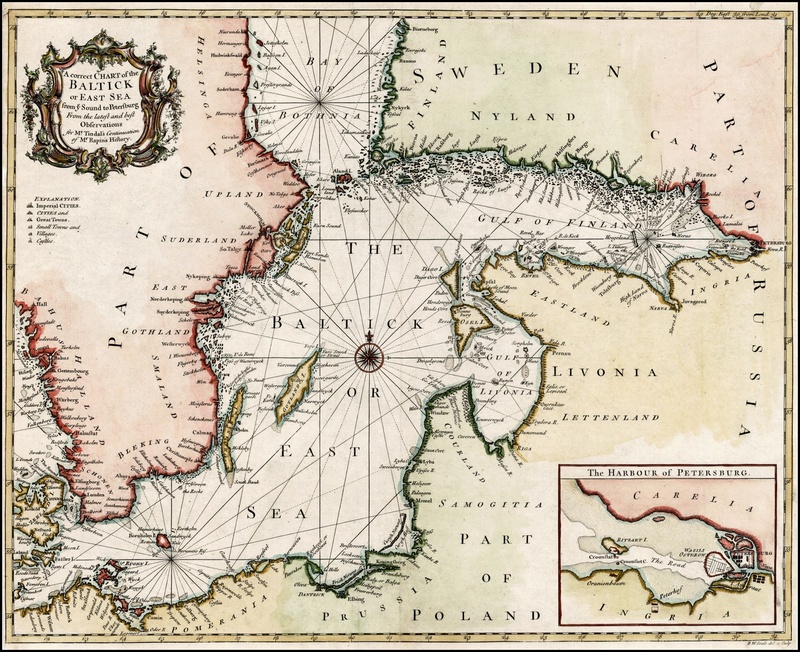 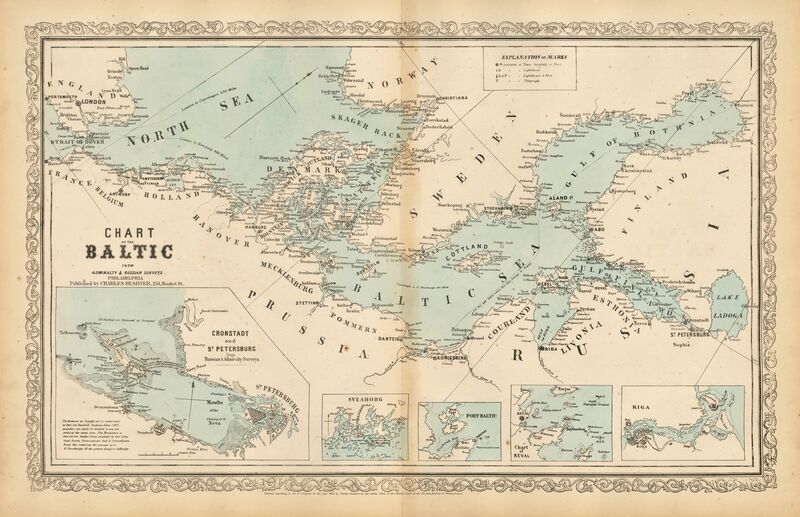 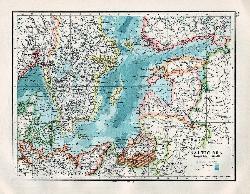 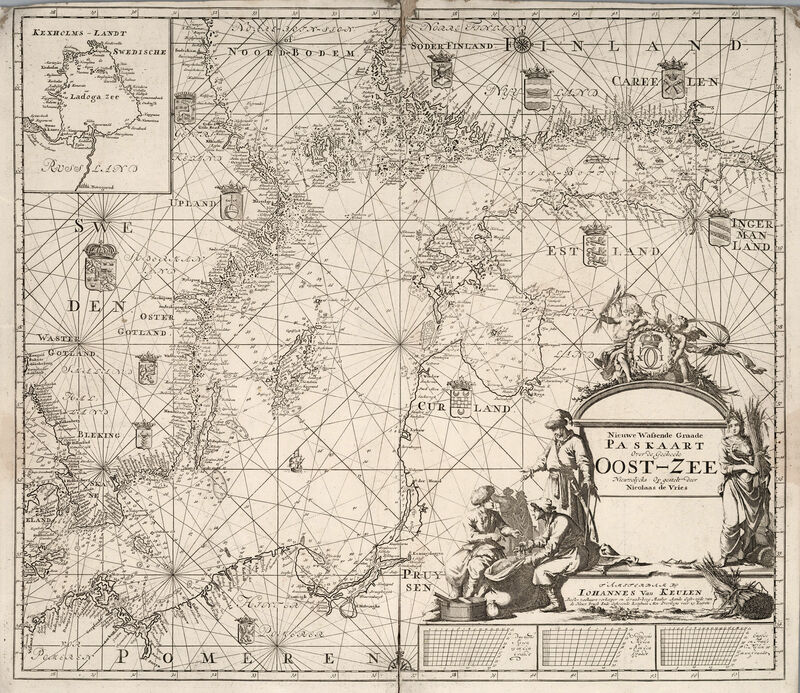 Zee door Arnold Colom ..."
"Chart of the North and Baltic seas, &c.
of Revel. 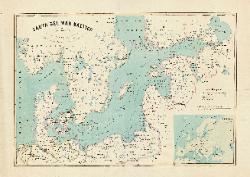 [with] Harbour of St. Petersburg. 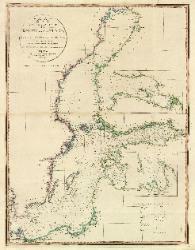 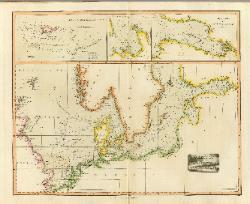 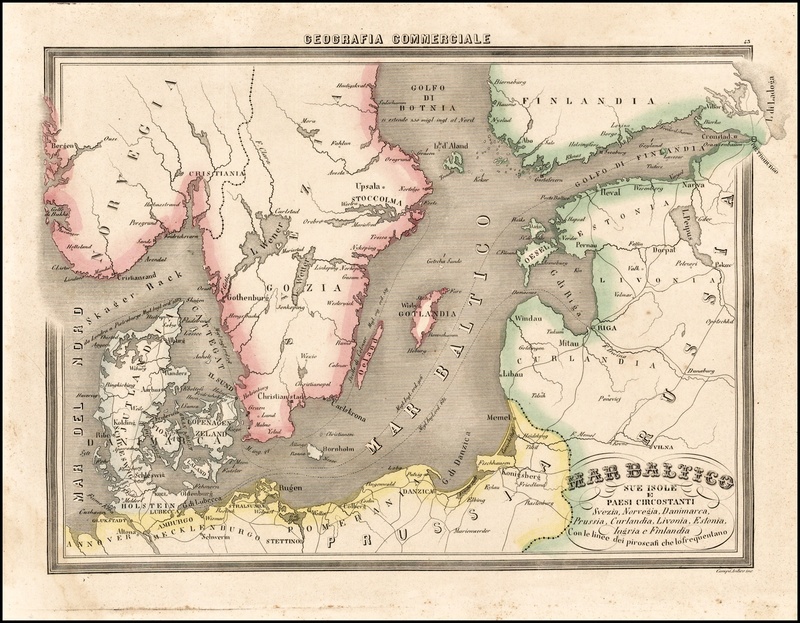 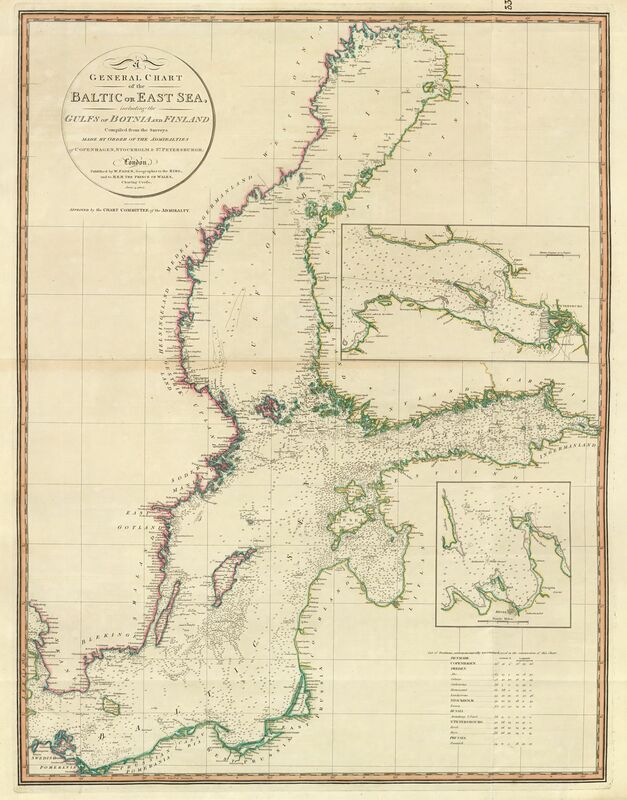 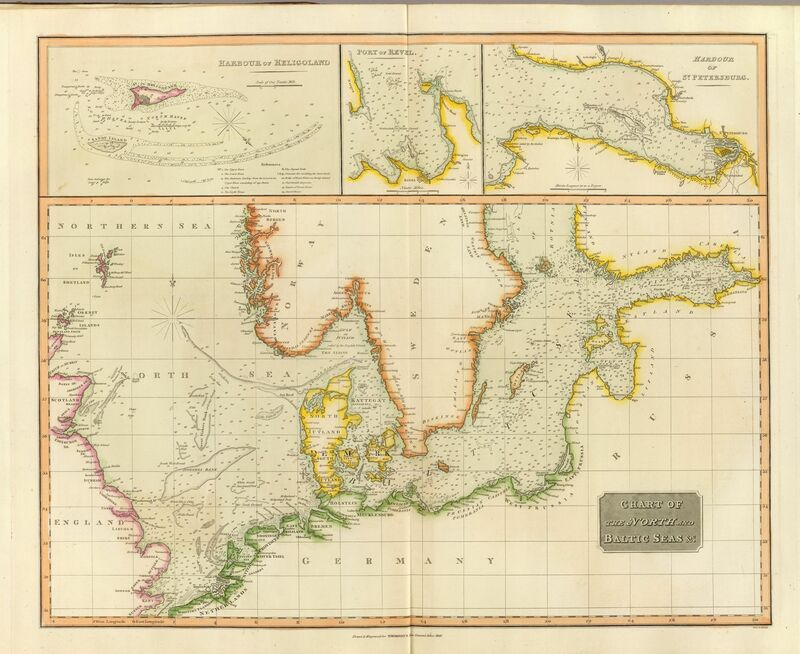 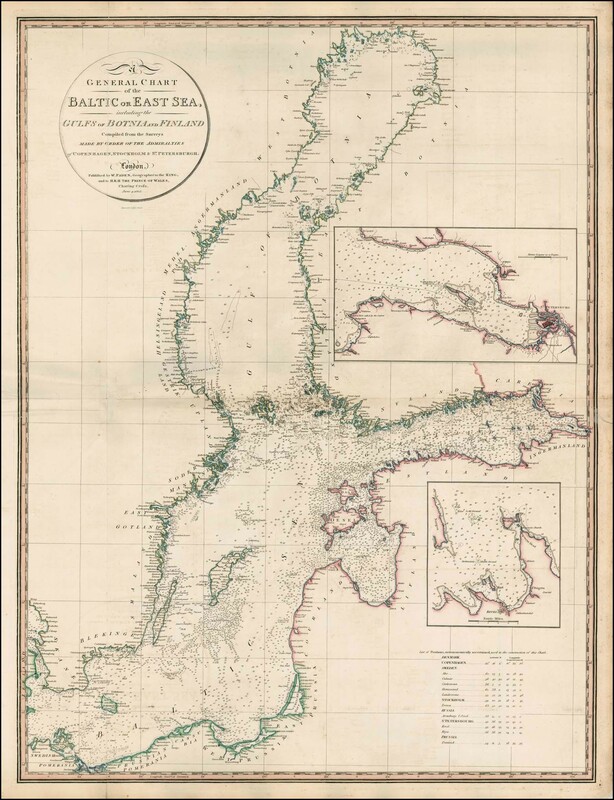 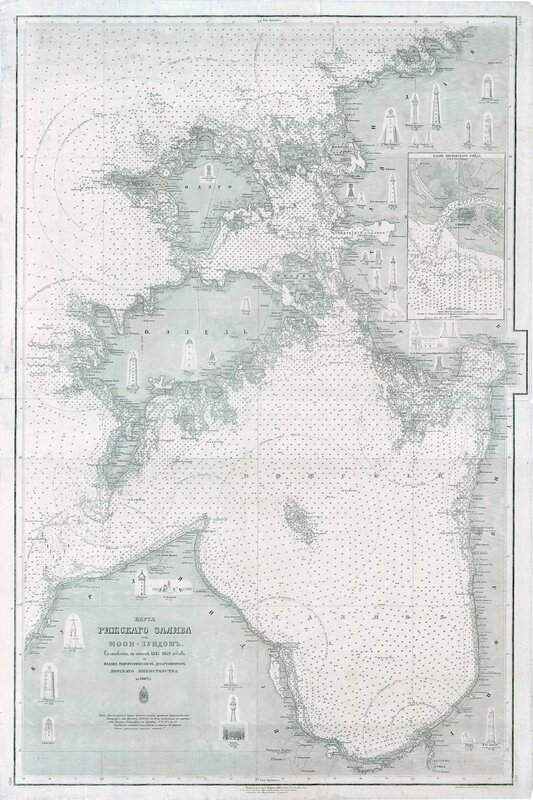 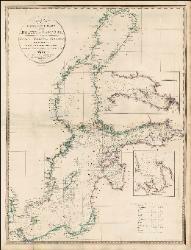 coasts of the provinces of "Estonia,"
From Admiralty & Russian Surveys,"
Pascaert van de Oost Zee,"
"Carte de la Mer Baltique,"
Plan of Kroonstad and St.
Spanish, French and English editions. 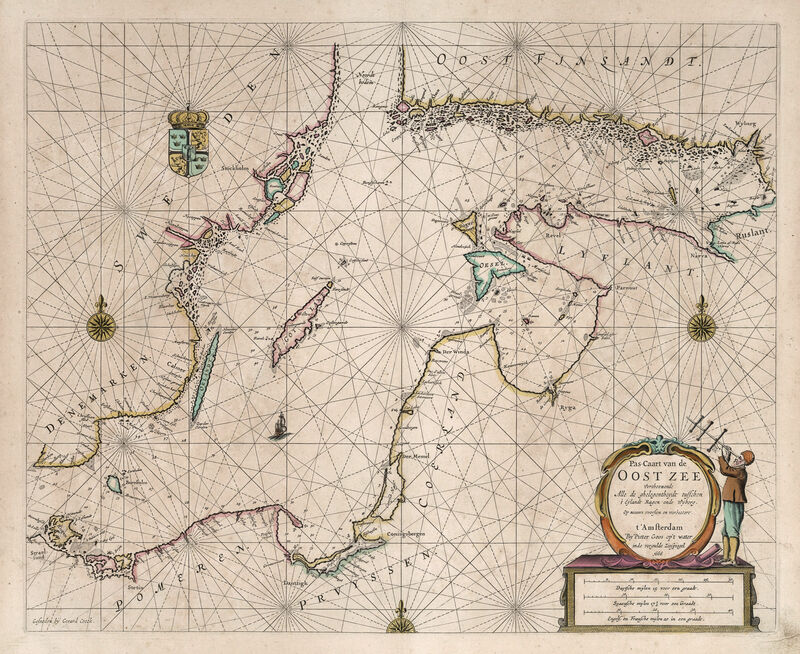 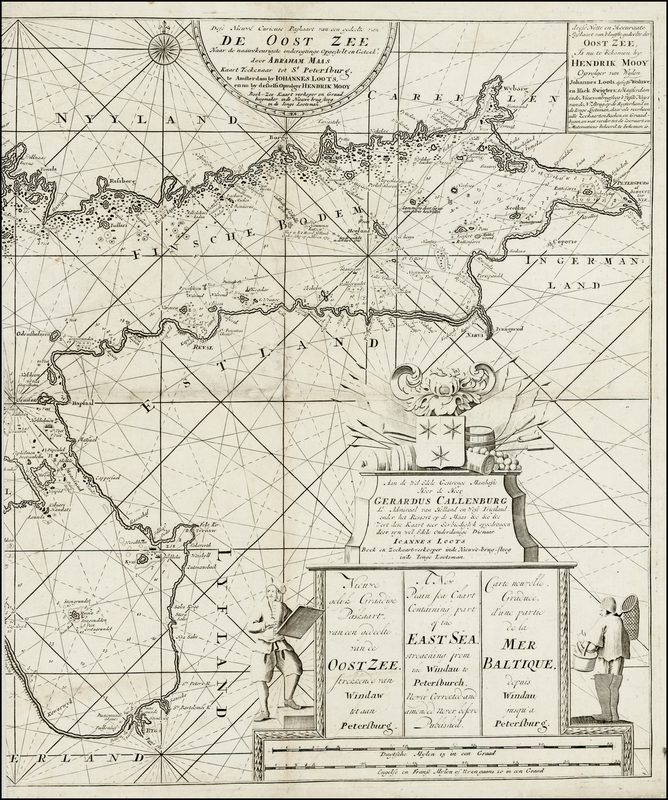 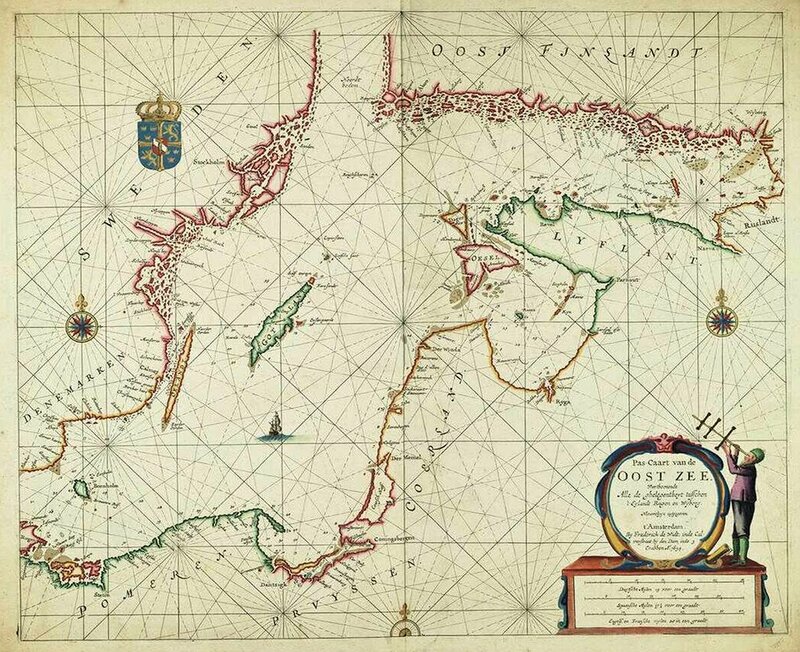 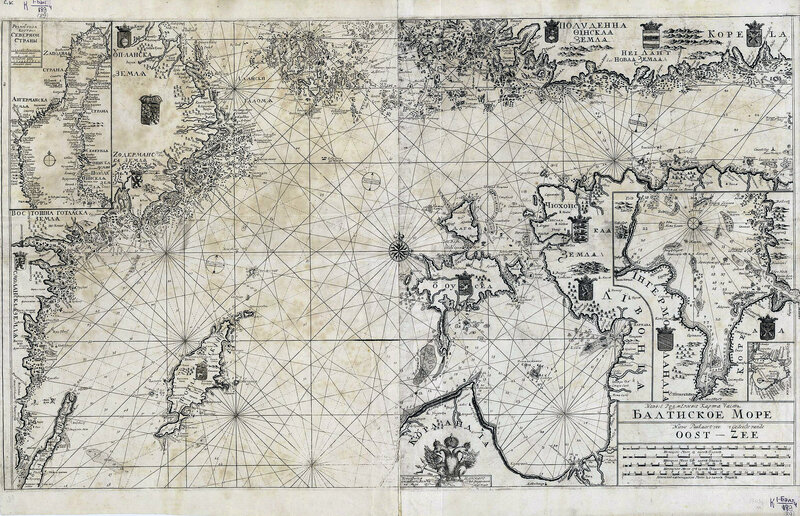 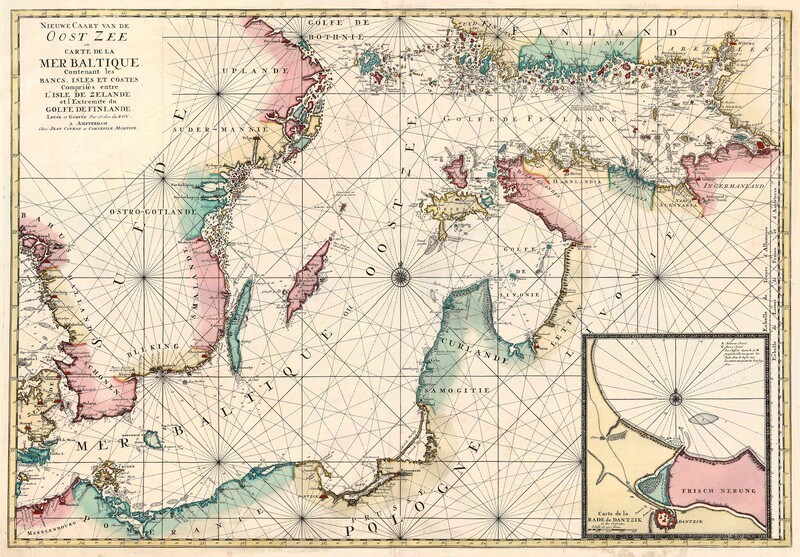 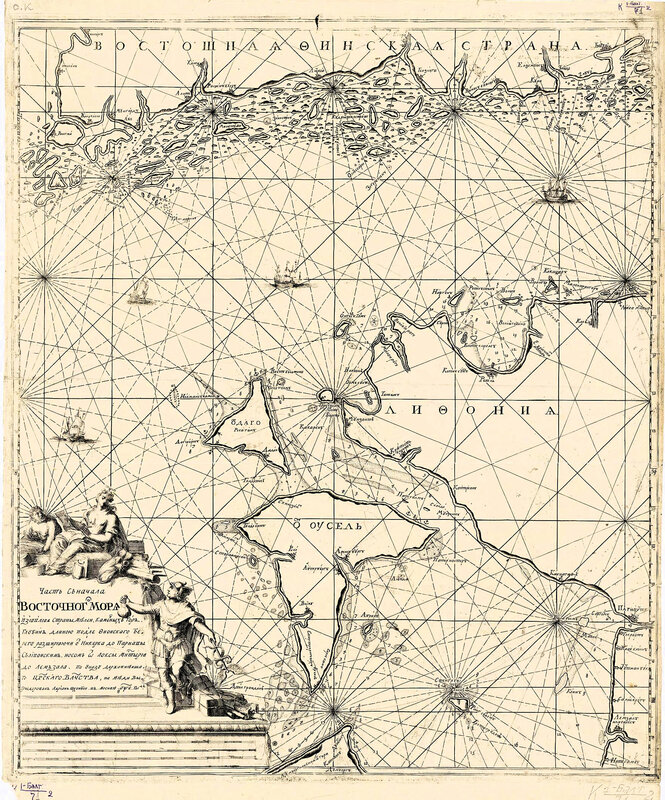 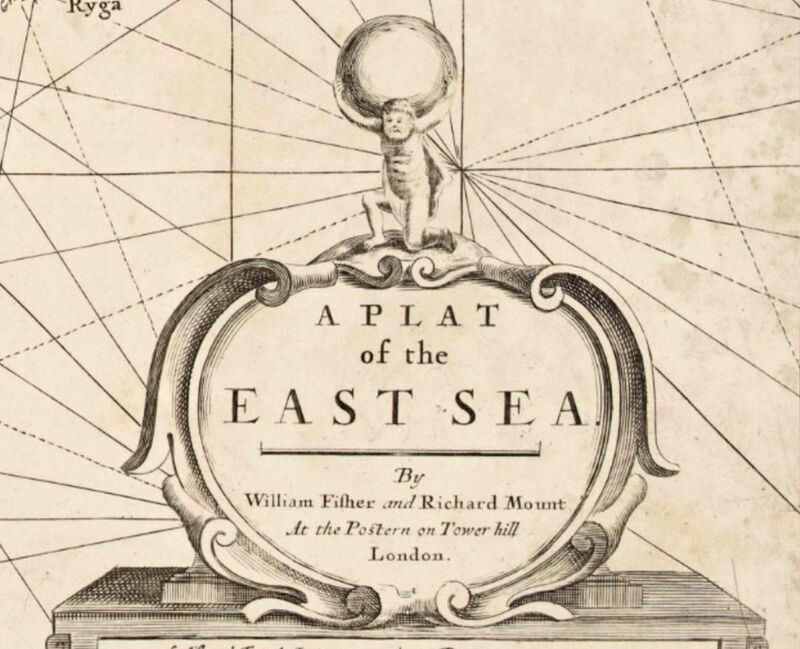 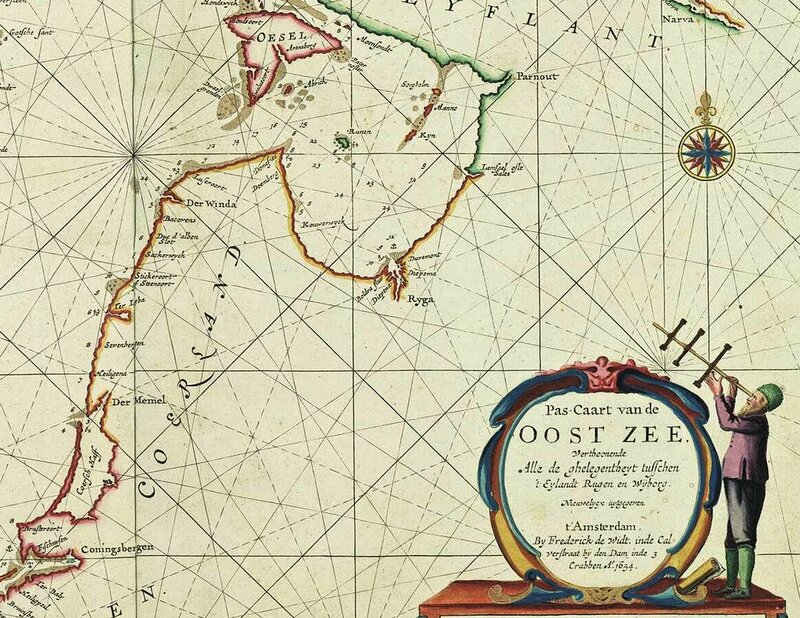 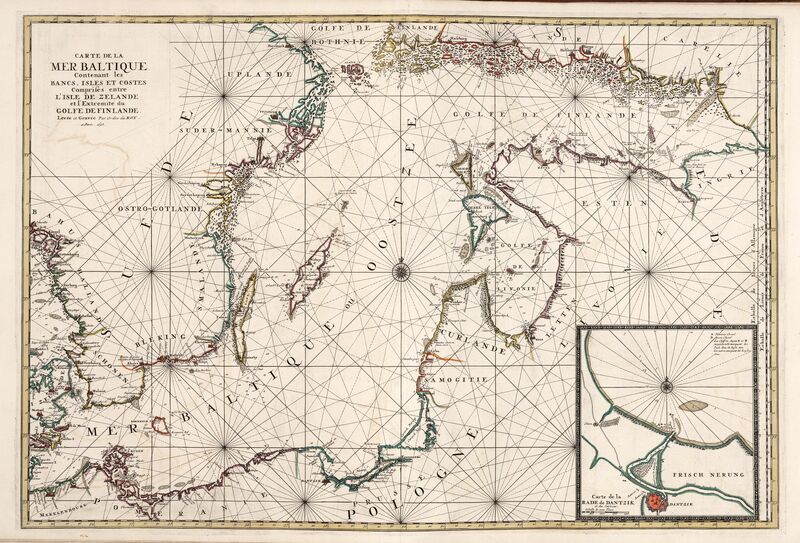 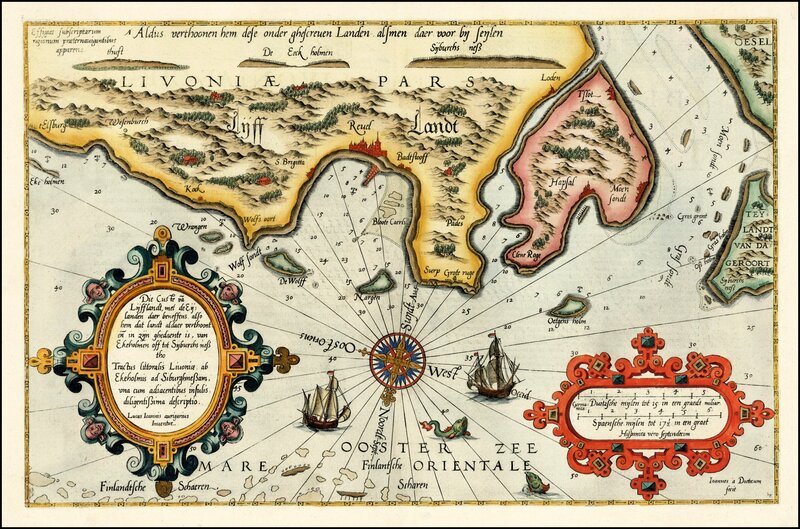 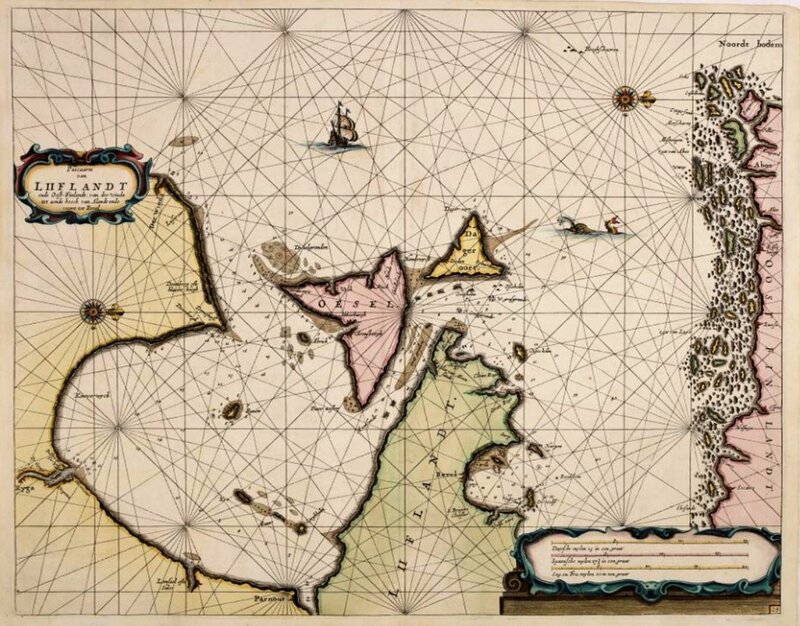 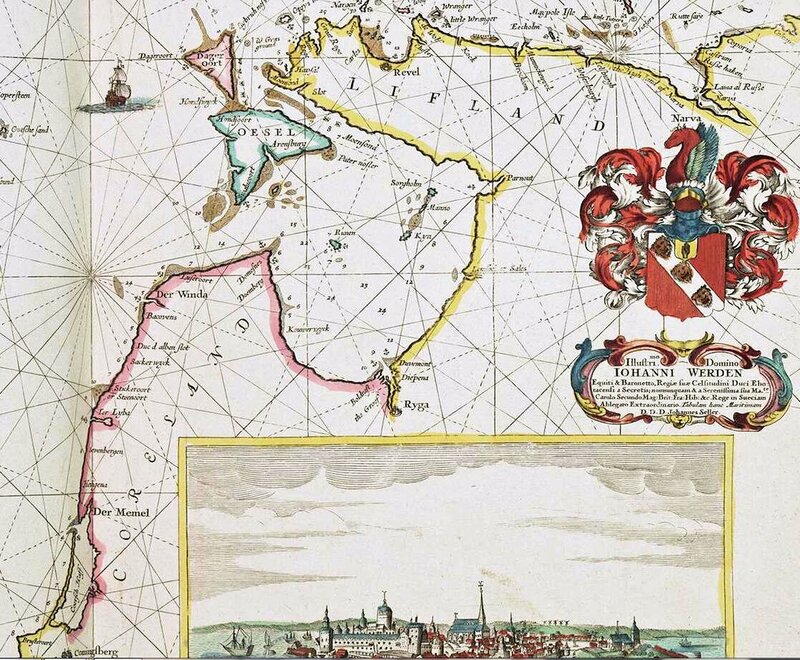 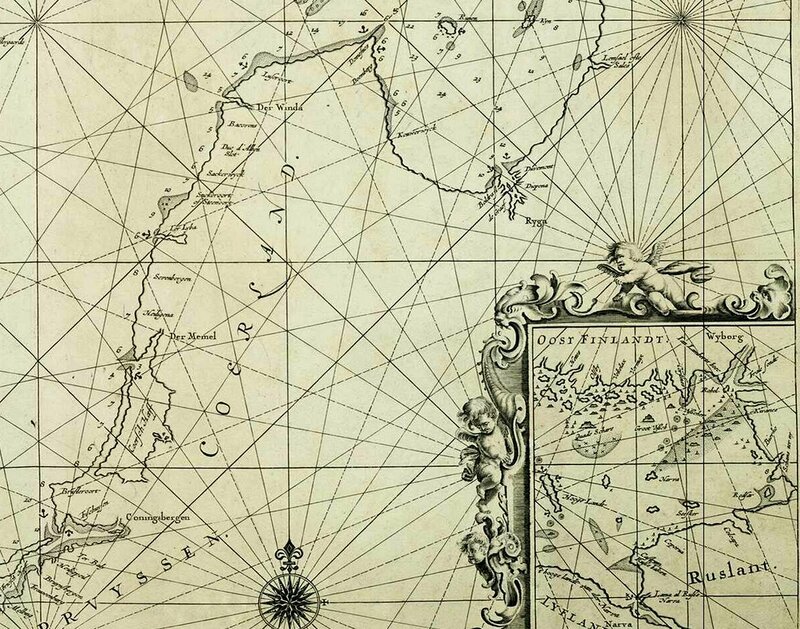 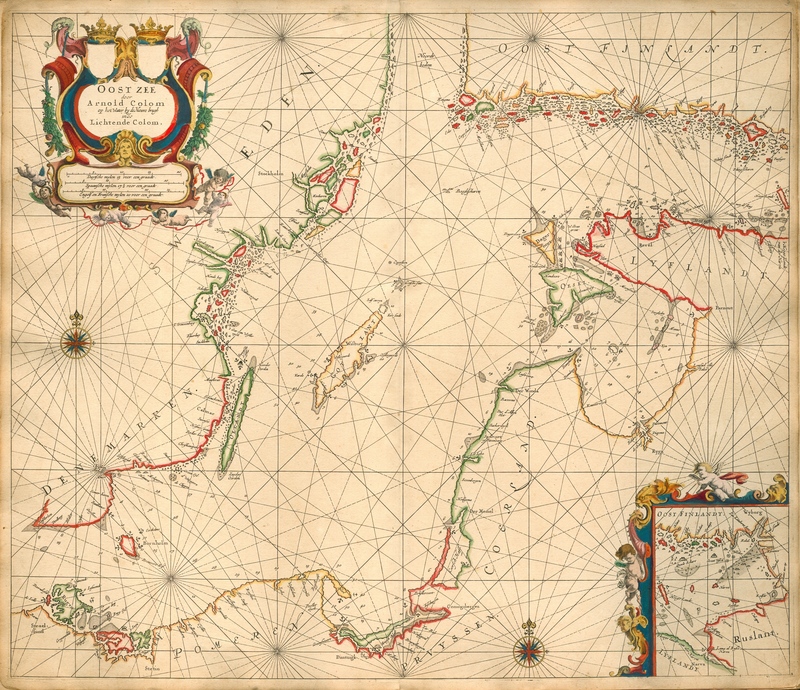 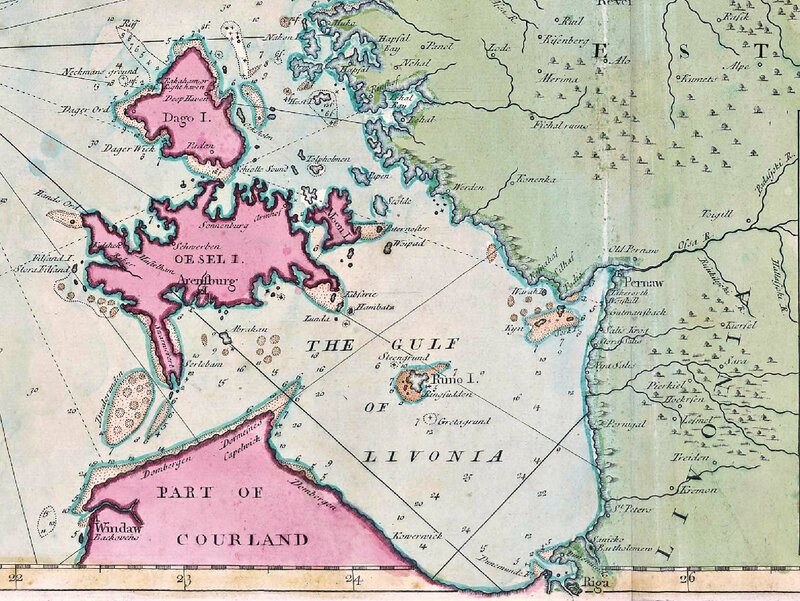 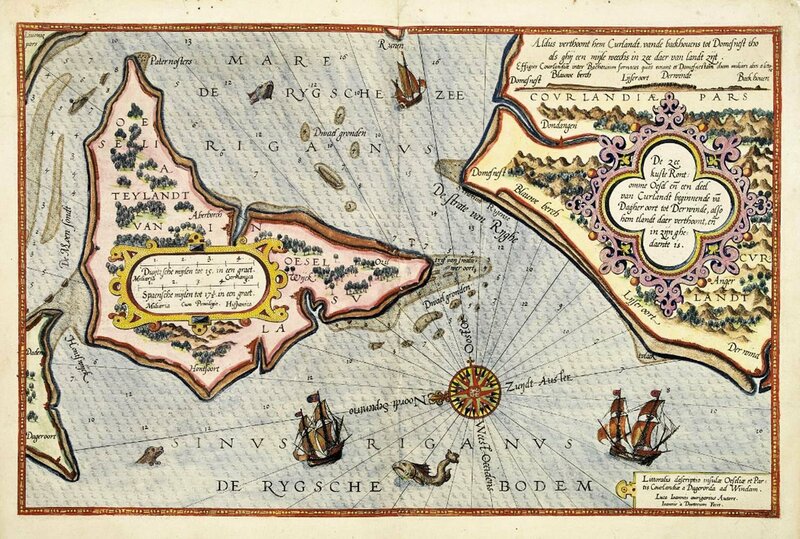 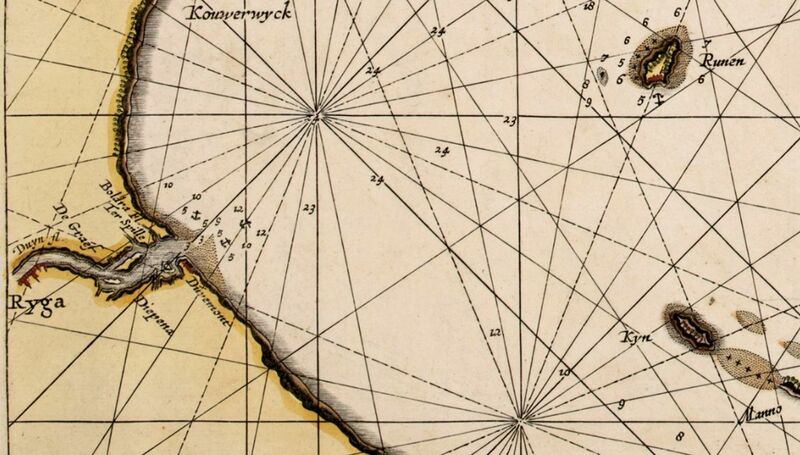 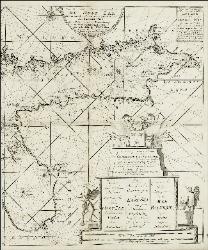 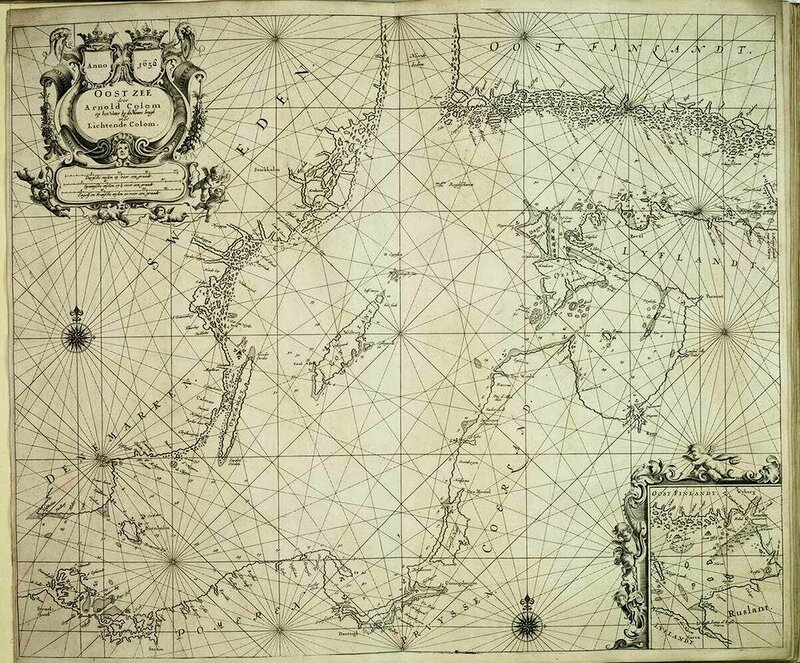 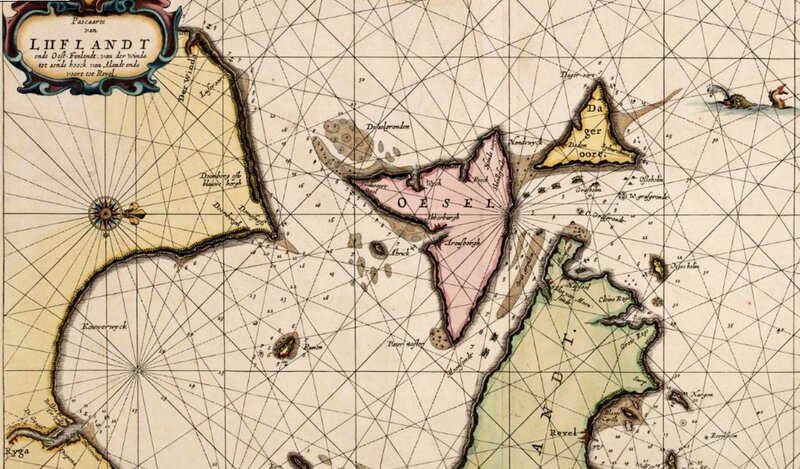 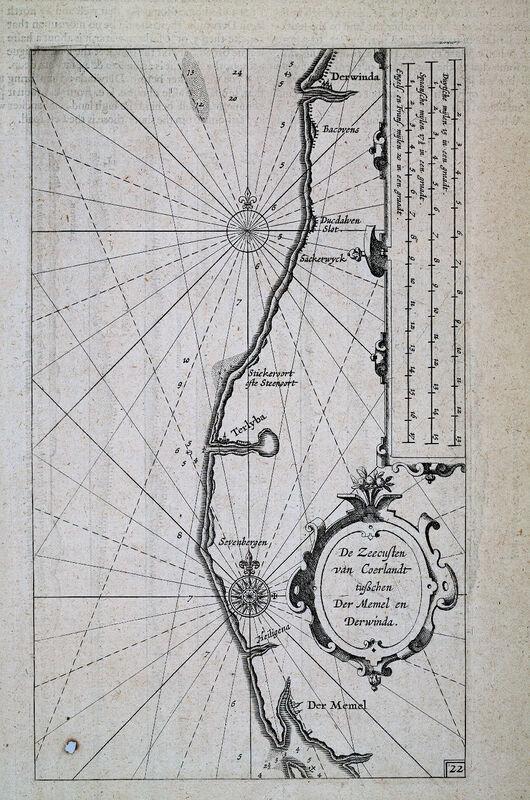 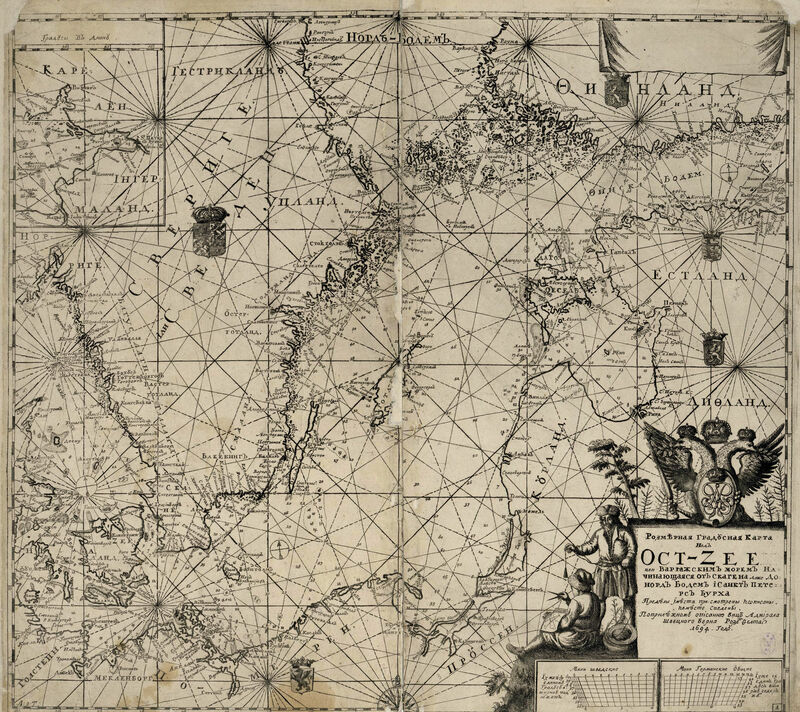 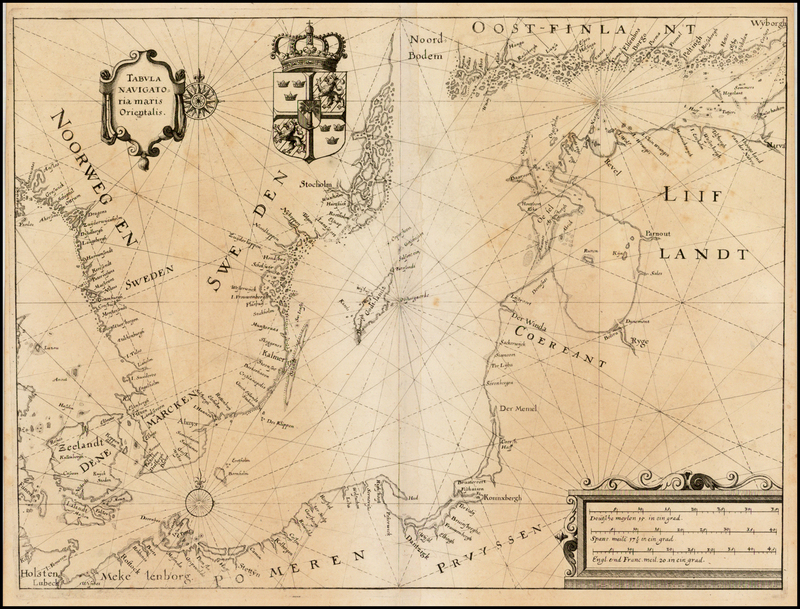 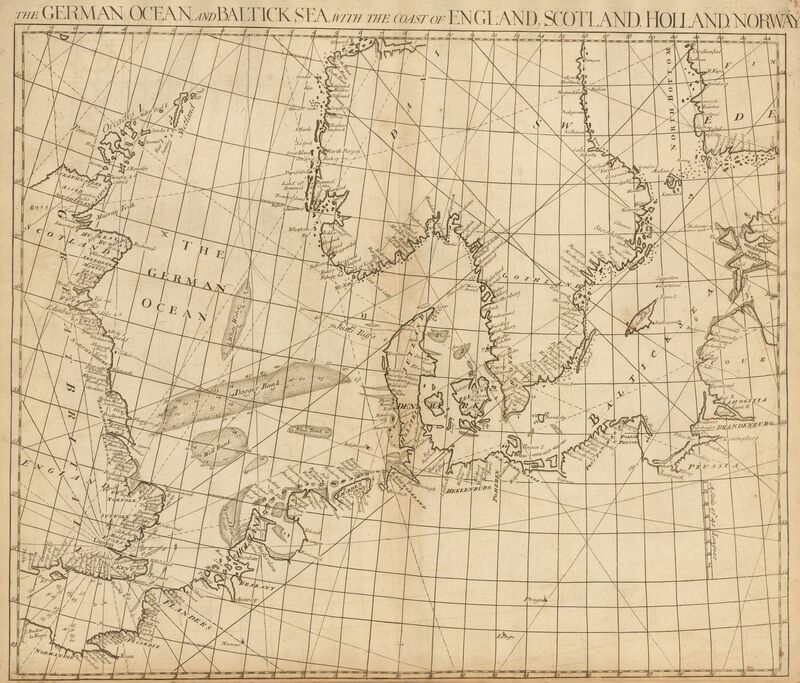 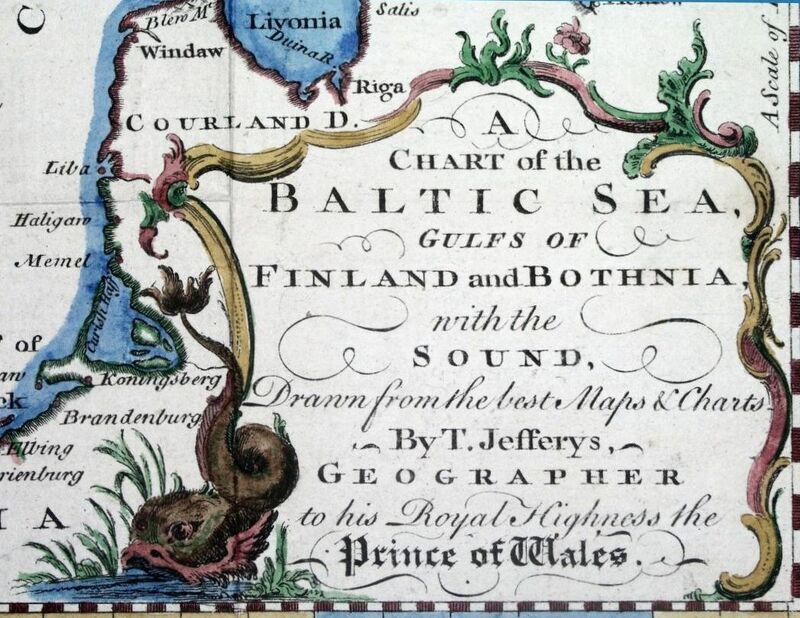 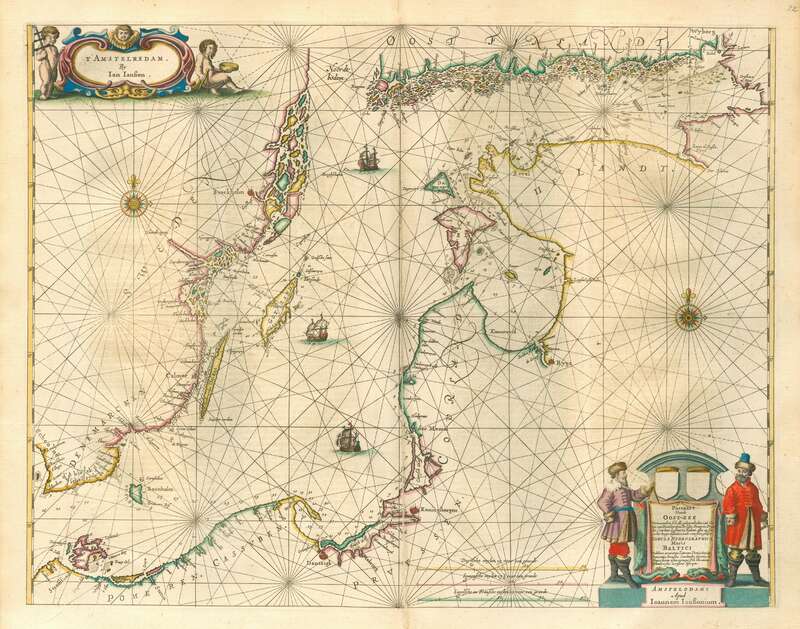 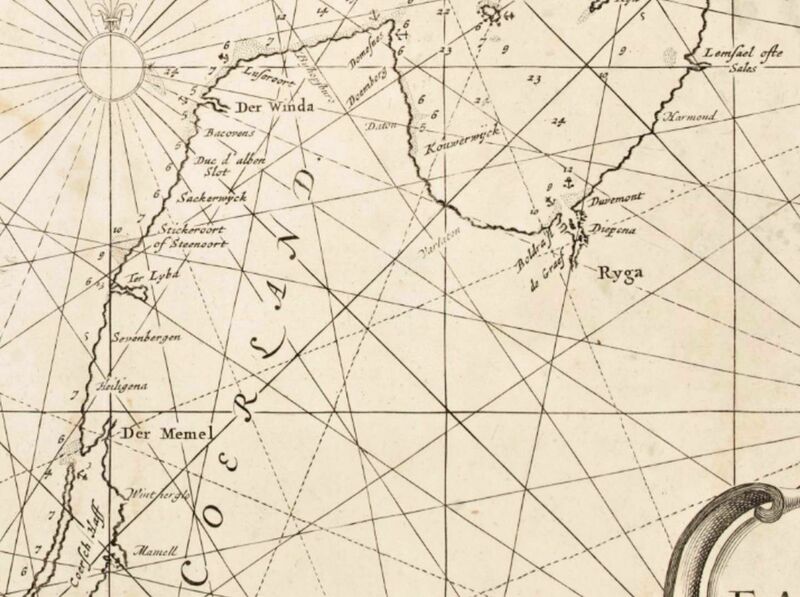 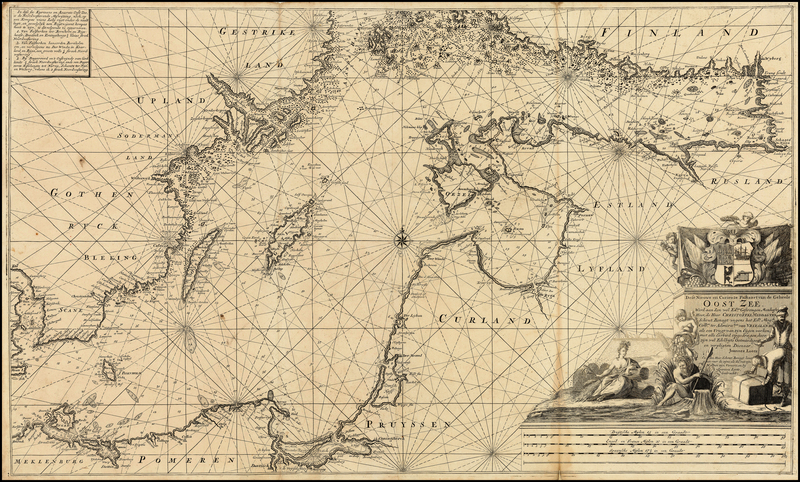 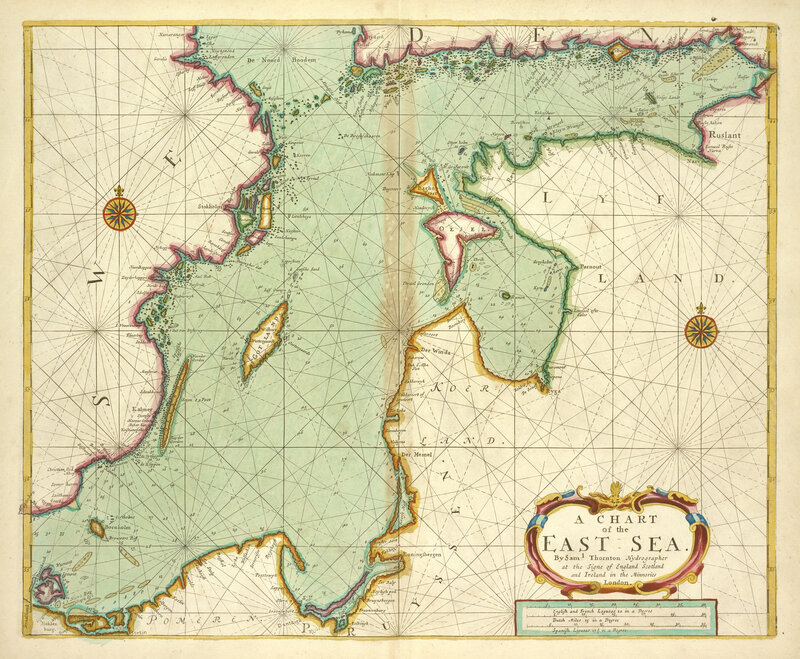 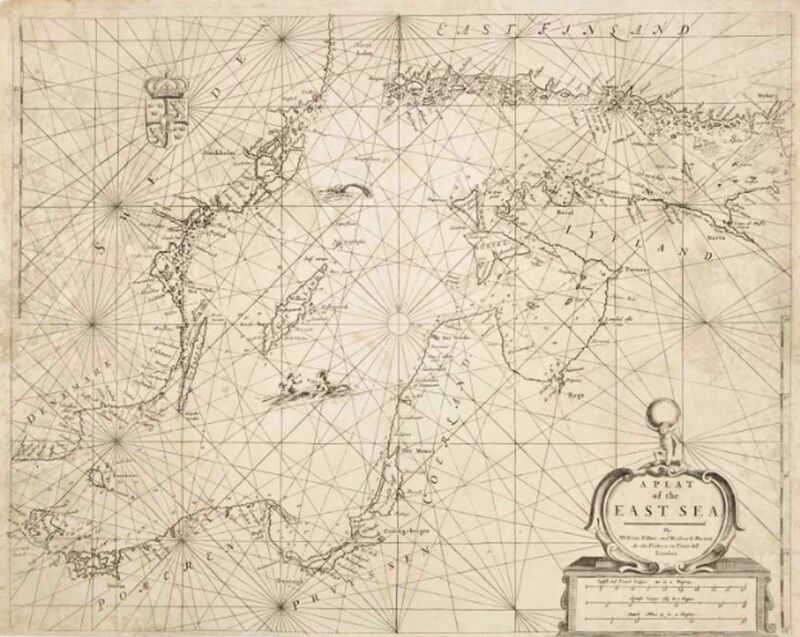 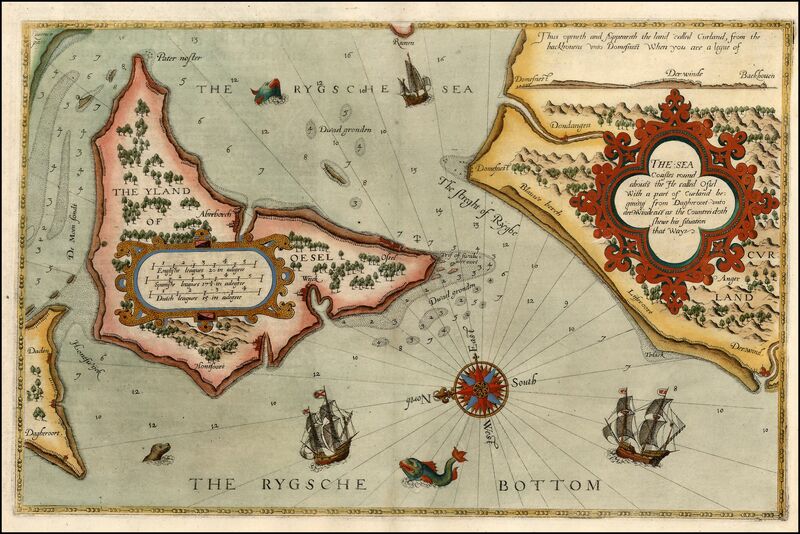 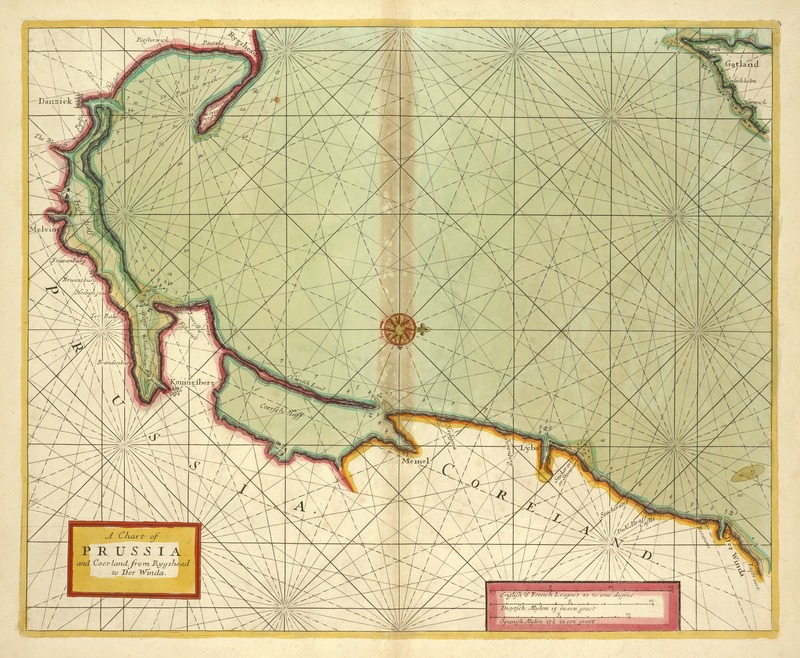 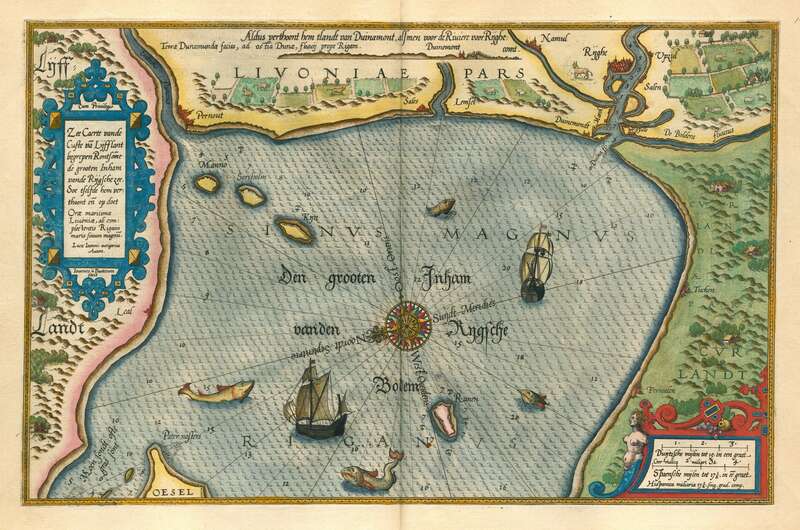 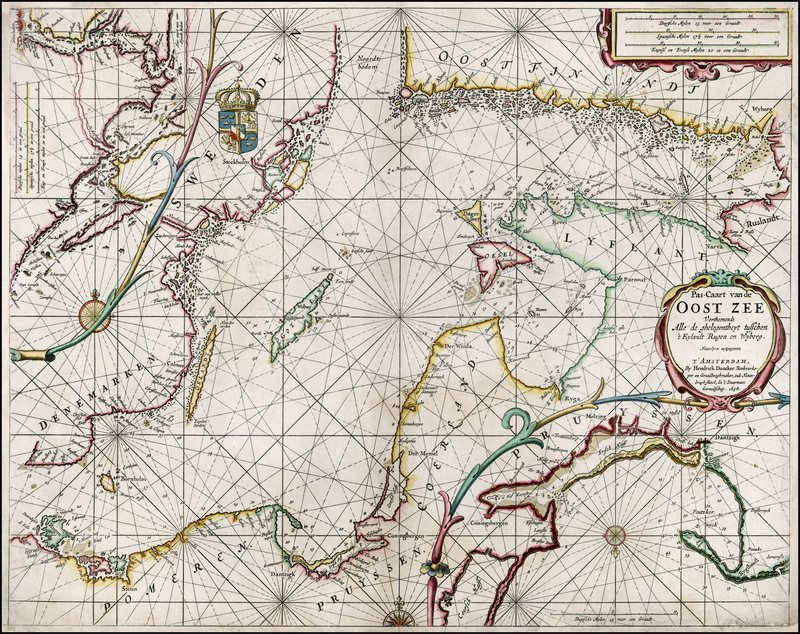 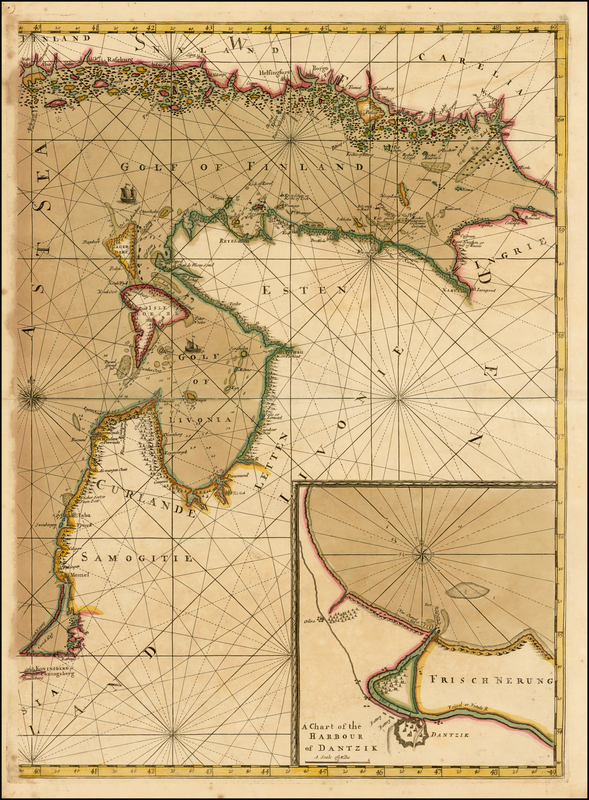 Caart van de Oost zee,"
1625 Willem Blaeu: "Ryghsche Bodem"
1656 Jacob Aertsz Colom: "Oost Zee,"
states with post-WWI names: "Esthonia,"
Chart of the Baltick Sea,"
Chart of the East - Sea,"
from his "Sea - atlas."